Maximizing the value of your home and land could mean renovating or knocking down and rebuilding. If you’re considering building a new home, it might make sense to maximize the return on your investment by building a duplex or dual occupancy home. A duplex is two homes sharing a common wall; a dual occupancy is two homes of different designs standing separately on the same site.Before you make any decisions, our team can talk to you about maximizing the value of your land and the investment opportunities you could create in building to sell or rent. 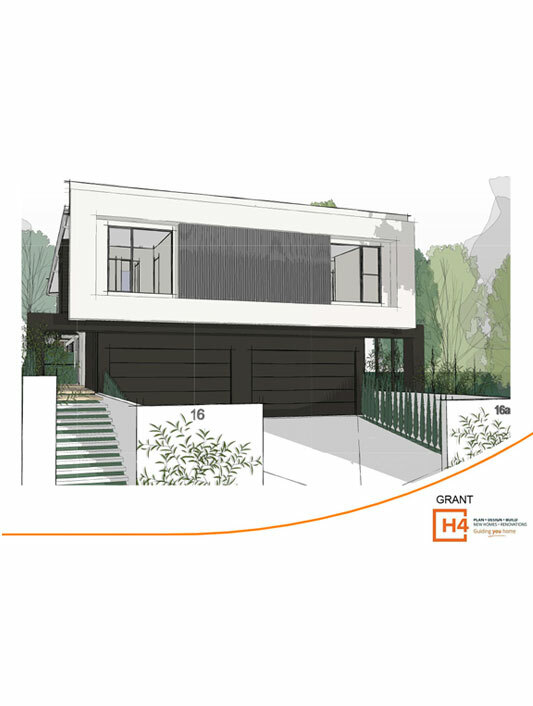 We can assess your site and give you advice about how easy it will be to get development approval for a duplex or dual occupancy. We can also show you where any challenges might arise, but even on difficult blocks like sloping sites or narrow lots we can show you elegant and innovative home designs. Read more about our design and build process or call us now on 1300 293 029 to discuss your requirements or send us an email and one of our design consultants will get back to you within 24 hours.